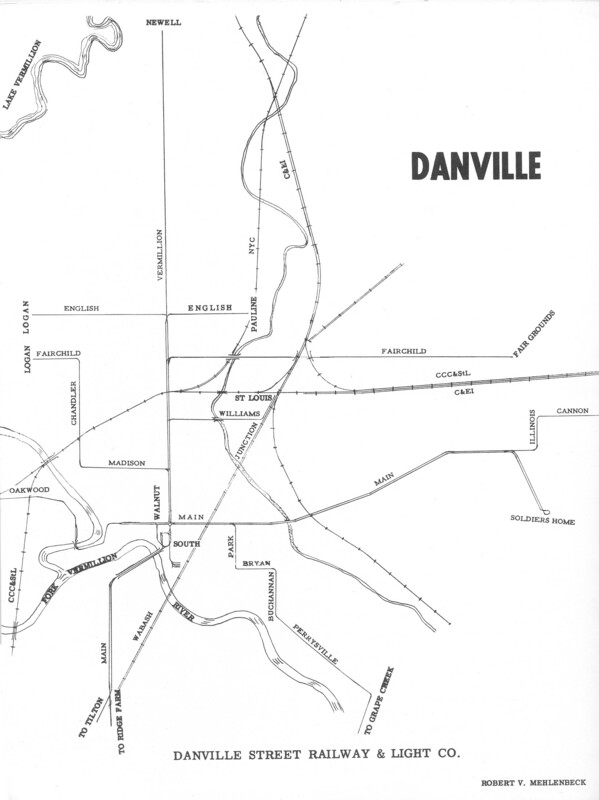 The Danville electric streetcar system at its height. CERA Bulletin 99, The Smaller Electric Railways of Illinois, 1955. Used with permission.